So now I’ve got my little block ready …but I am not quite ready to start carving. A magnifier. Mine clips on to the side of the desk. A set of carving tools. A flat artist’s brush about 1 cm. Flexcut also make a thing called a Slip Strop, which is a leather backed block with several ridges on the other side. It comes with a bar of waxy compound which should be rubbed onto the leather and the ridges. You then hone the outside edges on the flat part, and the inside edges on the most suitable profile. I hone before beginning work, and thereafter in all cases hone frequently – every 10 minutes or as soon as I feel the tool is moving less smoothly through the wood. With my other tools I sharpen them on a waterstone before using them. This is really important… Blunt tools cause mistakes and injuries! 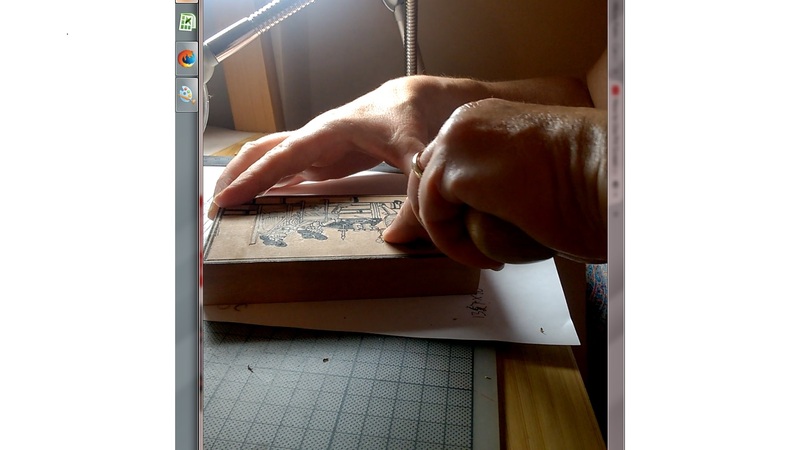 Regarding the light…here’s a picture of a woodcarver at work in the “Book of Trades” by Jost Amman . Since, in this case, the man who made the print was depicting his own trade, I think we can say it’s a fair representation of how things were done – in 16th century Germany, at least. 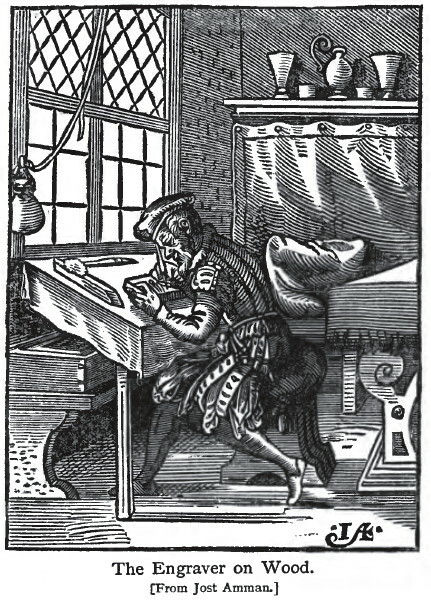 He is sitting at a table in front of a large window to give him maximum light. Sometimes the light is less than optimal, and you can see hanging up a globe of glass, which would be filled with water and suspended from a hook to focus the light on his work. I can’t help feeling that many of the woodcarvers must have lost their sight. My modern equivalents are essential to me. A hands free magnifier with a section in it for really close work like faces, and a floor lamp with an adjustable daylight bulb. So now I’m sitting at my desk with my tools on the left side and the light on the right. This is because I am left handed. The block is before me. I hold it steady with one hand and carve with the other. My first job is to take the small V-tool and outline every black line. Rather than curving the tool, it’s good technique to turn the block to make a curve. Spanish playing card block of 17th Century. 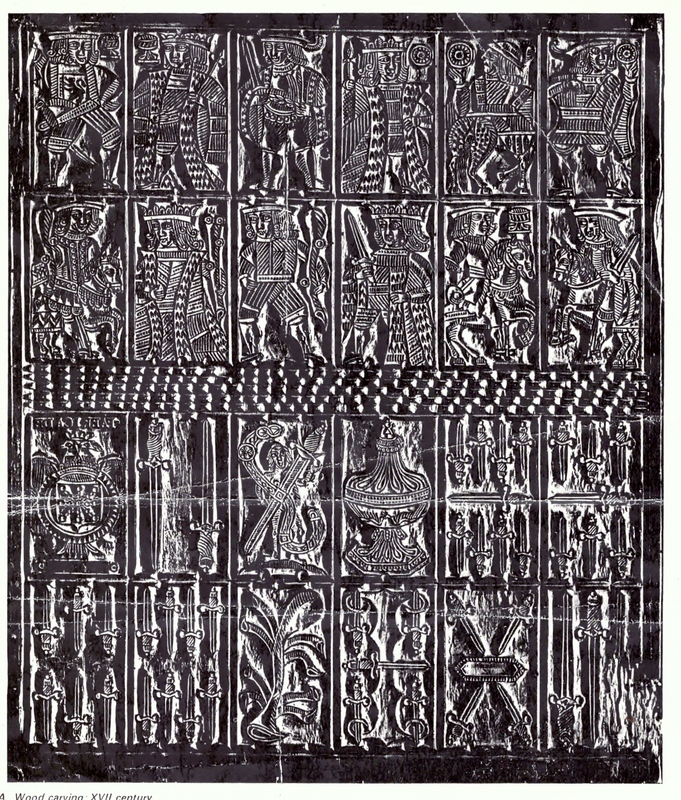 Note deep carving in the white spaces. After this part is finished, I can then use the various sizes of gouge to clear away the parts that will print white. Fine detail, small spaces don’t need to be carved deep. Areas of large white space do need to go down further, or the paper will touch and mark. I always leave the faces till last: probably the wrong way round, but I feel that when I get to the end I’m warmed and in the zone, as they say. As I go, every so often, I use the little soft paintbrush to clear away debris. *This mention hasn’t been paid for….I doubt Flexcut have ever heard of me. A sincere recommendation. 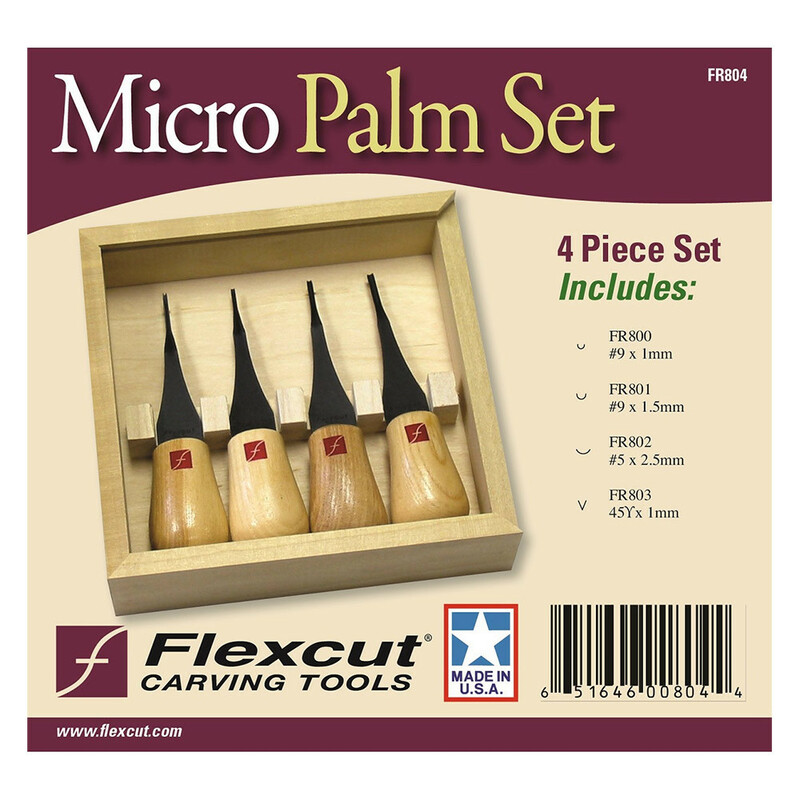 Very nice small tools and strong for woodcutting. I also use Flexcut and the slipstrop, marvellous tools.